The Nov. 8 elections in Puerto Rico – for governor, legislature, and dozens of mayors – will be “supervised” by FBI agents. These agents will be stationed throughout the island, and they will carry firearms. The armed FBI presence was announced on October 26 in San Juan, by the U.S. Attorney of Puerto Rico. But there is another agenda at work here. Most of the “voter irregularities” (sale of votes, ballot alteration, voter fraud) will not be discernible to an armed FBI agent, standing at a polling site. They will discourage protests, demonstrations, or any form of civil disobedience. They will reinforce the narrative that Puerto Rico cannot govern itself, manage its own finances, or even conduct a democratic election. They will acclimate Puerto Ricans to an increased police presence throughout the island. This police presence will multiply in 2017 when the U.S. Financial Control Board fires more government workers, cuts pensions, closes schools, and raises the water and electrical rates. But it has everything to do with an ongoing and coordinated financial assault on Puerto Rico. This assault will become more naked and apparent after the Nov. 8 elections, and after the Financial Control Board announces its plans for the island. At that point, the irregularities will really begin. I can’t believe that the Gestapo is in Puerto Rico on the election, The people should Protest by not voting at All until the FBI leaves. The FBI most supervise deep inside the political leaders not the common electors. They are who cheat, not the people. It is saddening to see such a display of ignorance by those expressing disbelief regarding the depths to which the FBI is capable of sinking…or any other colonial organization for that matter. Please be reminded that even though it is not highly publicized, the US gov’t had to pay the King family for it’s role in the death of Martin Luther King Jr.
Let’s not forget the torture of Don Pedro Albizu Campos and many others in La Princesa. The FBI shot and killed Feliberto Ojeda and allowed him to bleed out for hours as if an animal. There almost endless examples in their history to more than amply support Nelson Denis’ concerns. Remember COINTELPRO. Was it ever dismantled? It is my contention that nothing happens within a colony without consent or knowledge of the colonizer…except revolution. The mere thought that a Fortuño, who is not in prison after having squandered billions, is still in the game and on a dictatorial board no less, is more reason to be suspect of US interest and objectives. You book has taught me so much about Puerto Rico and its people. I’ve been more proud of my Puerto Rican heritage as I am today. Where does one go after reading your book to find other Puerto Ricans who realize this injustice and are fighting for change? Where is the Puerto Rican Nationalist Party of today that young Latinos such as myself can join? 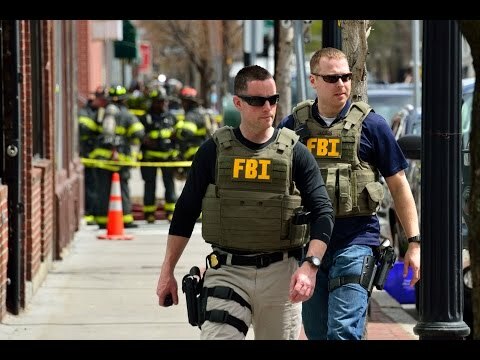 Dionn Delgado; WHAT IS THE PROBLEM WITH THE FBI, THE POCICE ALSO CARRY FIRE ARMS? SO WHAT…. I’m glad get out and vote! Puerto Rico needs real change! This is how it started in Germany in the 1930’s little by little the Jews civil rights were taken from them, until they made the Gestapos above the law then all hell broke out. In Puerto Rico the U.S. Financial control board was given the green light to be above the law. Puertorican’s are being led down the same road. Read how this tragedy started in the 1930’s for the Jews and you will notice the similarities. Why can’t we take our case to the United Nations to help us? I am really in shock of all the things I have discovered about this government and all it has done to my Islita!!! I want to do more, but have no idea where to start. I have already motivated my family that lives on the island o vote for Alexandra Lugaro, but now this! We really need to make ourselves heard here on the mainland!!! El Nelson Dennis este es in comunista como su padre que fue un adorador de Fidel Castro, que nunca ha vivido en Puerto Rico y esta usando las tacticas comunistas de intimidar a la gente de la isla. Seguramente es uno de los agentes de GEORGE SOROS.y si tiene miedo de FBI no se preocupen que ellos ya fueron comprados por Hillary Clinton que se reporta y hace lo que Soros diga..Preocupense de Hillary que es la mas peligrosa, primero no le importa que pase en Puerto Rico por la censilla razon de que ella lo que quiere es un mundo sin fronteras, un gobierno y una moneda mundial. Why not just Invade Puerto Rico Again. The people of Puerto Rico will Never be Free unless they vote for the PIP Candidate, Take the opportunity to vote, Congress is treating the people Communist REGIME. They are they along has put the people of Puerto Rico in Chains since 1889. You are not in control of your Life, They are only giving you the Privilege to live your life with your hands tied behind you with their Falls Dreams. Wake up and do your own Bidding. The future of your Children will lose a Rich Heritage along with the family values that they have lost since the early 1950’s , You deserve to live on your own terms. I am writing this because I have been Block from my computer for the pass 21/2 weeks and Am still have problems trying to get my Programs Back on a new computer that I just perches last week and still I have problems except for this message that I have send. I hope you will get it. Please stop spreading this propaganda. Puerto Rico needs to be monitored due to the high corruption rate on the island. Your articles are filled with nothing but fear tactics. Find a new hobby. Then of course…there is the toxic sludge oil purchasing at PREPA, the Ponzi Scheme Series AA bonds at PREPA from 2009 through 2012, the $400 million for an un-built pipeline, and the missing $100 million from the Fideicomiso para Ciencias. The individuals — and the political party — behind all this BILLION DOLLAR CORRUPTION, are now soliciting FBI agents. You needn’t lecture me about corruption. Perhaps you should find a new hobby. When will the majority of the Islanders wake up? Many are against the efforts of those Boricuas on the mainland. In fact, some are resentful of our dedication to liberate our Motherland…..
VOTER SUPPRESSION!! Happens everywhere, under the master!! Are they going to be in all the states? Everybody needs to step up and stop this unfair and unjustified acts!!! Para un conocimiento mas profundo dela intervencion del FBI en las elecciones de Puerto Rico comunicate con el Lcdo. Nelson Rosario, quien junto al Lcdo. Emilio Soler Mari investigaron el tema. Siempre en la lucha.